WAIT! Don’t put golf away for the winter! Sure it might be hard to hit balls when it’s dark by 4:30 and there is a nip in the air with temperatures and/or wind chills below freezing and there’s nary a place to hit balls or play that stays open every day. But that doesn’t mean that golf and your golf swing are done for the winter. Let’s talk and winterize your golf game. Get ready for Spring right now! Start a fitness program to prevent common injuries and to strengthen and gain flexibility in your muscles. A good fit body will help avoid early season injuries that will take 4-6 weeks on the average to heal when they happen. That could take you right into the start of summer! Avoid those injuries by doing some exercises to strengthen the muscles in your lower back, shoulders and wrists. For your lower back, start by concentrating on your lower abdomen muscles. Fit in this area takes the majority of the strain off the lower back. The good ole common sit-up is a great place to start. Crunches work well too. For your shoulders and wrists, concentrate on the areas around the rotator cuffs and the top of the wrist. Push-ups and some light weight lifting (5-8 pound dumbbells work great) are great for the shoulders. Wrist curls with those light weights work wonders. If you have a stationary bike or can ride a bike during the winter, this is great for your legs. With all these areas and exercises, consult a fitness consultant at a local gym and your doctor. You aren’t trying to become Mr. or Ms. World body builder, just add some strength. As you add strength, learn some stretching exercises as well to increase your flexibility. This flexibility will not only aid in avoiding injuries but make your golf swing more effective. Now is the time to change those habits that have been holding you back. 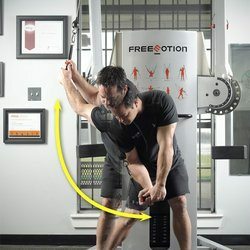 Since you cannot play as much or even hit balls, this is a great time to think about and work on your mechanics in a full length mirror or even with your home video camera. First concentrate (as you work on your strengthening and flexibility exercises) on your set up. The goal here is to get your body fit to achieve a posture that is well balanced. Since balance is a key element to any athletic motion, it becomes much easier to make the motion in balance when you begin in balance. Before your club closes for the winter or your PGA Professional heads to Florida to the Winter Tournament Series, get with your PGA Professional for a final golf lesson or consultation. Take a pad of paper and a pen. Ask him what you need to work on during the winter to make you a better player. Listen carefully and write down what he has to say. When you write it down in your own words then your own words will help jog your memory and allow you to do efficient work on your swing in front of your mirror. Have your PGA Professional check your notes to be sure they are complete and then tell him you will see him when the weather permits. If you have house or garage area that is usable, setting up a net and mat to hit balls into will help change these mechanics into feel before the Spring. Do what Ben Hogan did. Hogan would travel with the Tour and putt and chip into pillows against the wall in the hotel room at night until the manager would come tell him to quit because his neighbors were complaining. Try to temper your enthusiasm for the game this winter just enough that your spouse won’t make you go to a hotel to do your chipping and putting. For putting, a great thing to do is to put down coins (quarters, nickels or dimes) to putt to. Space them apart different distances and try and putt your ball over the coin. Another way is to put some string down horizontally across your target line and try to roll your ball and stop it on the string from different distances. If you do not have carpet or your carpet is too thick, I suggest you check with a carpet remnant store and see if they have any inexpensive, short pile industrial type of carpet. For chipping, you can do what Mr. Hogan did and put pillows against a wall or purchase one of those little pitching nets. (I would put pillows behind the net so that wayward shots don’t hit the wall and upset your spouse.) Practice contact with the ball and the feel of sweeping the different pitching and chipping clubs across the ground and watch the ball fly into the net. (A small trash can work as well). So when it’s cold outside and it’s too nasty to go out, your golf game can benefit! Begin a conditioning program for your game. Exercise to strengthen muscles and stretch to gain flexibility in order to avoid injury and be ready for the Spring. Work on swing mechanics to improve your ball striking. Keep your chipping and putting practice going to maintain feel. 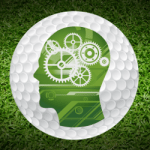 Nurture your golf game this winter and when Spring comes you can come out smokin’ and strokin’ and shootin’ low!